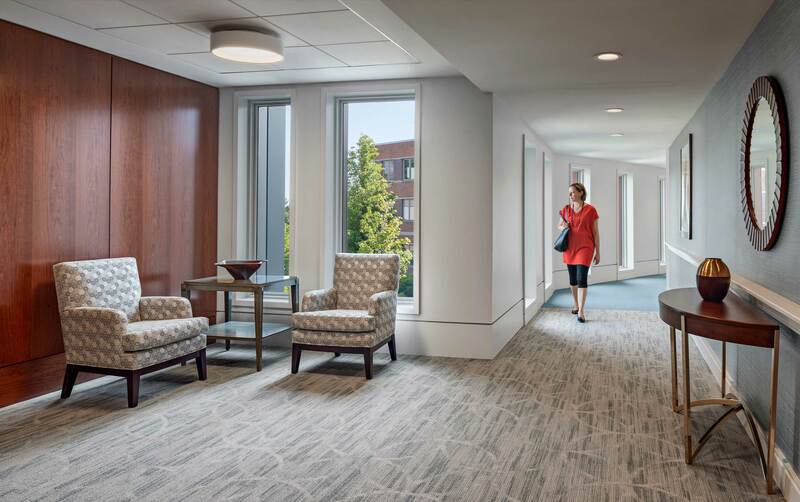 North Hill, a Continuing Care Retirement Campus, is well known in the Boston Metro West area where discerning residents look for high-end quality housing and amenities. 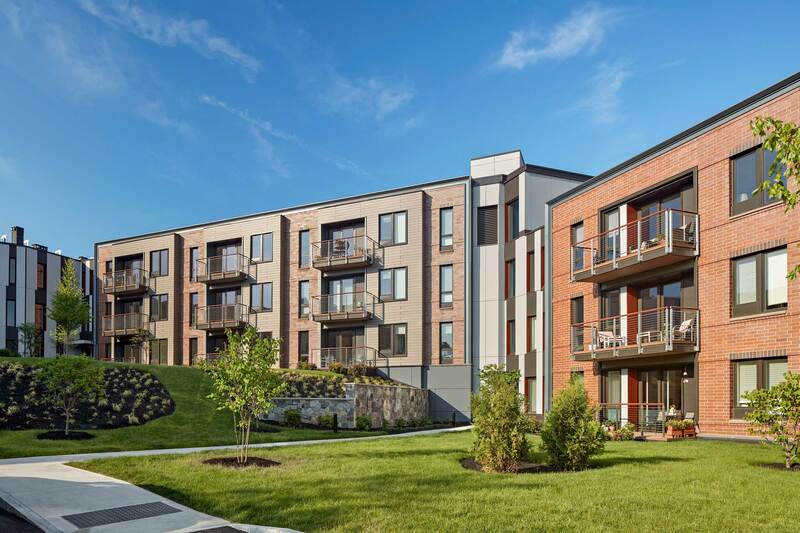 It is one of the last components of a multi-year initiative, project ʺTrue Northʺ, and is composed 45-units of independent living at the entrance of campus. 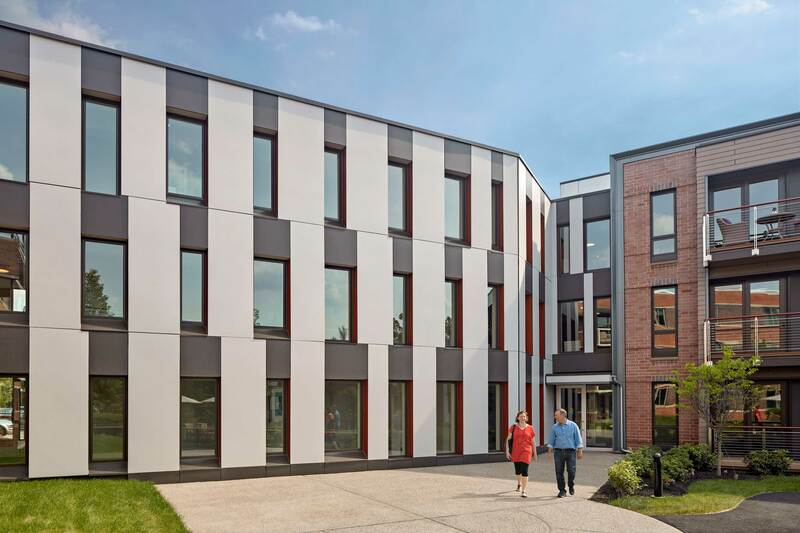 The design team broke down the scale to ease the prominence and create a more friendly gesture as you enter the campus. 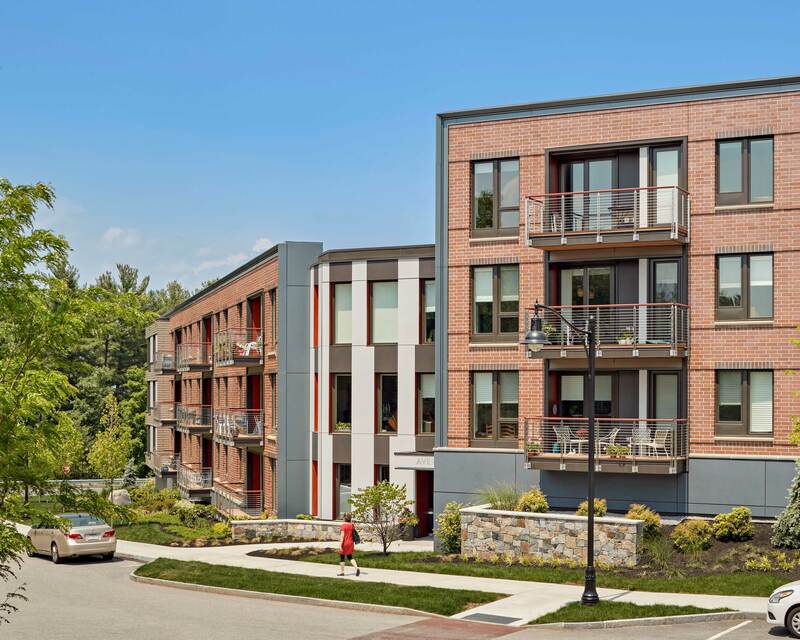 An updated contemporary facade ties into the brick masonry language of the existing independent living wing and completes the newly landscaped Town Green. 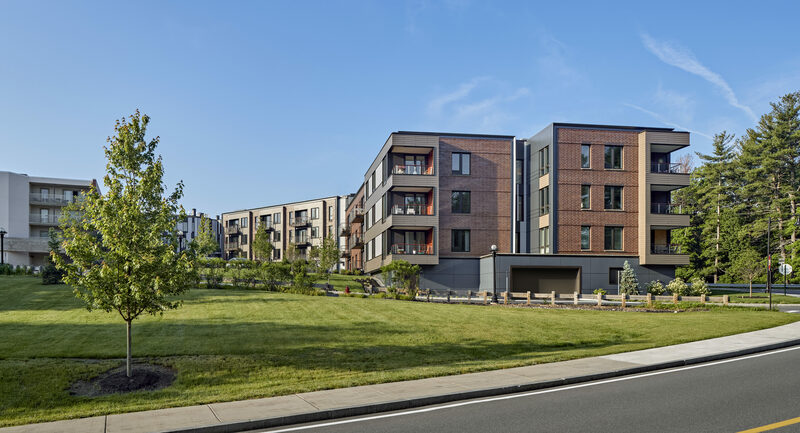 Clad with a similar brick, the new wing is composed of two volumes stepping down along the hill, articulated around an oversized metal cornice, and has playful volumes clad with high-density cement panels that designate building entrances. 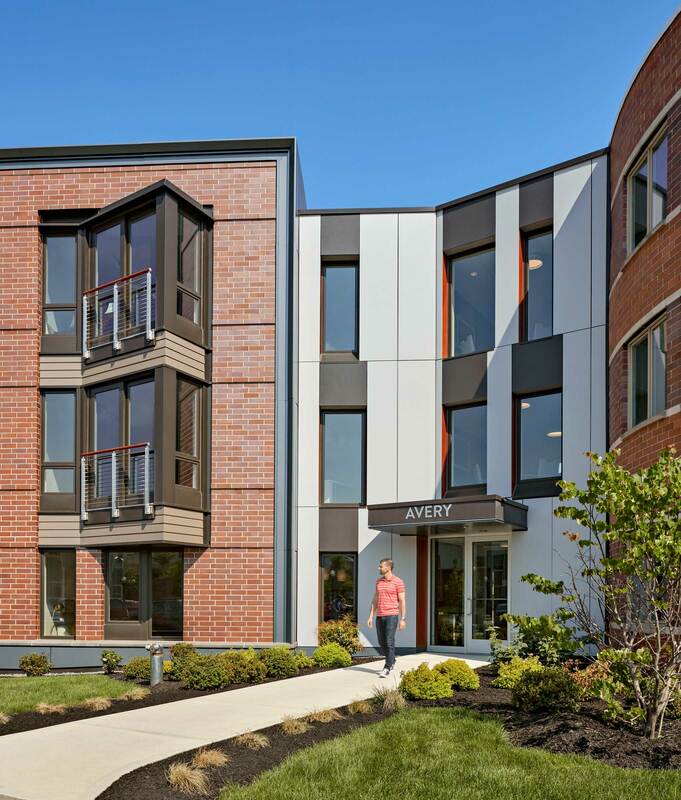 The final project, the Avery Wing, introduces modern, vibrant living to the North Hill community and presents the progressive nature of the community. 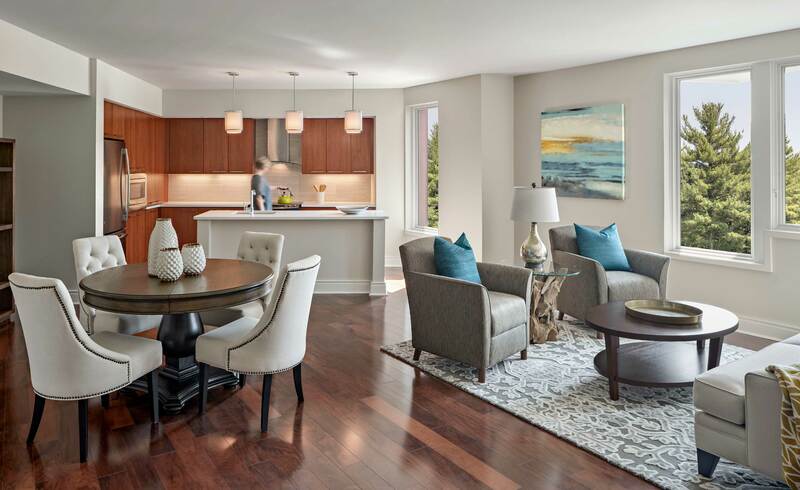 Generations of residents will enjoy the greater integration of natural light, views to the surrounding landscape, taller ceilings, open floor plan layouts, contemporary finishes and outdoor space or balconies for all 45 units.